I’m starting a new blog series. Overdue Reviews. I haven’t wrapped up the Über Christ Followers series, but I thought I would take things a little lighter and talk about music. The VH1 program “I Love the 80’s” is the inspiration for this article. But I’m going back a little further. I’ll be reviewing the albums that I listened to when I was in middle school. Junior High in my neck of the woods went from seventh through ninth grades, so we’ll be remembering music from 1977 through 1980. Keep in mind, I was in middle school. My musical taste probably didn’t run all that deep. My tastes probably didn’t even make sense. Remember junior high? If you’re like me and you’ve been trying to forget, this may be somewhat therapeutic. Or you may end up in therapy. Hang in there, big guy. Here are the albums I remember. Many more came out than I was exposed to, of course. These are the ones I remember from seventh grade. Some of them I remember because they were my mom’s and I hated them. Here’s that list: Abba - Arrival, Linda Ronstadt - Simple Dreams, Olivia Newton-John - Making a Good Thing Better, and Roberta Flack - Blue Lights in the Basement. 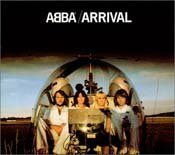 Abba - Arrival. I can not begin to tell you how much I LOATHED this record. Every time Dancing Queen came on the radio, my mother had to turn it up. That and Fernando. I hated this music. It depresses me to even think about it. I have a “felt need” to tell you this music makes me want to barf. Why would someone even think of doing a remake of Dancing Queen? I have to contrast this with my favorite record of 1977 just to lift my spirits. This album, my mother wouldn’t even let me bring in the house. The more she hated it, the more I loved it and the louder this record played. 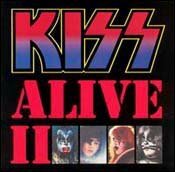 Kiss - Alive II my mom loved to hate because I loved it the most. Kiss Alive II - Can it get any better? Actually, it can because I liked Kiss Alive I better. But still, it's a great album! i must agree, kiss alive 1 rocked. still have the lp at my dads.